It’s 2 AM. You’ve just returned to your hotel room after a night carousing on the town. The corner stores have long-since closed, and you’ve been left tipsy, alone, and in need of an after-hours morsel. And then, like some culinary apparition, it beckons you from the corner of the room: the hotel mini-bar. At some point, despite our better judgement (or thanks to a generous expense account), we’ve all ceded to the temptation of this invention’s price-bloated contents — whether in the form of $13 cashews or a $6 water bottle. Sometimes it’s for lack of alternate options, and sometimes, it’s just because we’re lazy; the mini-bar caters to these situations without discrimination. At some hotels, $7 peanuts are considered paltry: gummy bears are jacked up as much as 1,300% at New York’s upscale Omni Berkshire Place, while a bottle of “premium” water runs$25 at Trump International Hotel & Tower in Chicago. But despite these figures, most hotel managers claim that their fridges operate at a loss, and are nothing more than an outdated perk to guests. Is the hotel mini-bar on its way out? When German-run company Siegas invented the mini-bar in the early 1960s, it was an instant hit with luxury hoteliers. First integrated in the suites of Washington D.C.’s Madison Hotel in 1963, mini-bars became an expected perk at high-end chains — and despite high mark ups, guests indulged in the snacks and beverages inside of them. In 1974, the Hong Kong Hilton became the first hotel to include a “liquor-stocked” mini-bar in each of its 840 rooms, and it proved to be lucrative: in-room drink sales skyrocketed 500%, and the company’s overall revenue was boosted by 5%. Riding on the coattails of this success, Hilton’s executive team integrated mini-bars into all of their locations worldwide. By the end of the decade, most 4 and 5 star hotel rooms housed a mini-bar, and the device was at the height of its renaissance. 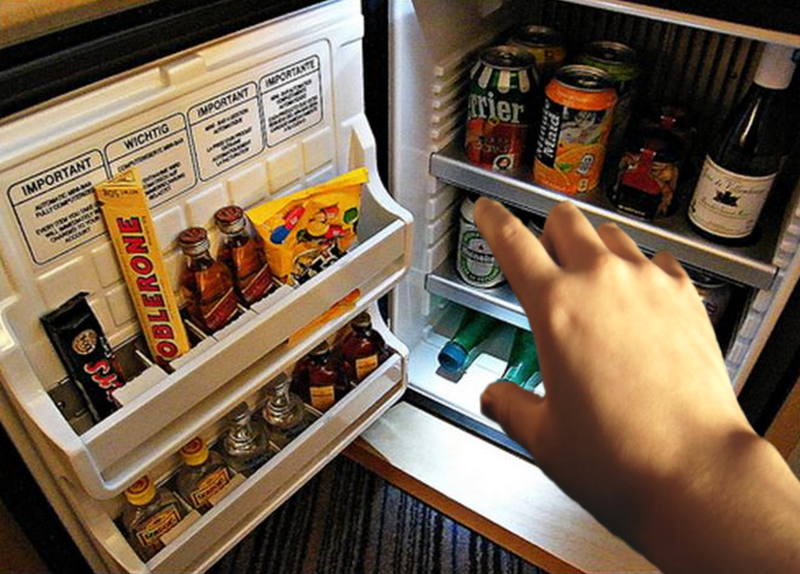 But hotels would soon learn that the minibar came with a number of problems: it required additional labor (usually, in the form of a dedicated “mini-bar operator”), the overstocking of goods routinely led to “spoilage,” and guests stole items — specifically the tiny bottles of vodka, which were often consumed and refilled with water. Over time, managers have come to realize that the mini-bar is far from an idyllic cash cow. 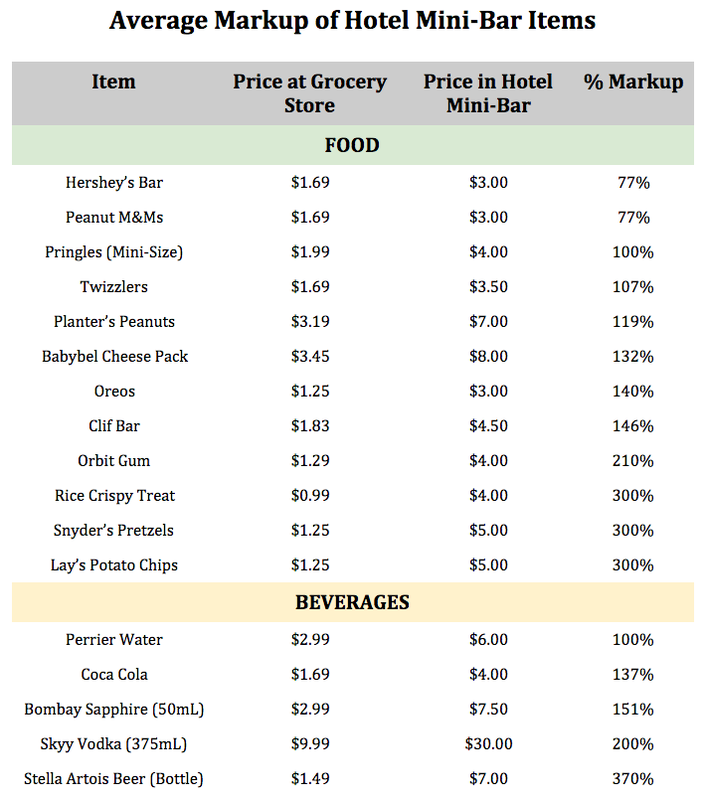 In a 2012 survey, nearly 500 hotel owners unanimously agreed that re-stocking mini-bars was a “nightmare,” and 84% reported they’d had guests dodge bills by stealing items and replacing them with inferior goods. In today’s hotel economy, the once-briefly-popular mini-bar is now what one industry analystcalls “a relic of the past”. In a 2013 consumer study that surveyed some 20,000 travelers, it was ranked as the “least important” amenity in a hotel room, with only 21% of respondents desiring one. Marginalized by in-room Wi-Fi and continental breakfast, the mini-bar is a shadow of what it once was. Increasingly, hotels are opting to leave empty fridges in rooms, and allowing guests to stock them at their own leisure. Despite this general annihilation of mini-bars, some hotels have elected to keep them — and in order to viably do so, they’ve turned to technology. In this newfangled system, a sensor is placed beneath each snack, and if any change in presence is detected, the item’s value is tacked on as “incidental” fees on the bill. Often, the highly sensitive nature of these rigs results in faulty charges. One journalist staying at a DoubleTree hotel in Chicago reported incurring six such charges, ranging from $6.06 to $7.72, for merely picking up treats from the mini-bar. Many hotels also now openly display snacks on scale-equipped trays, imploring the guest to give them a once-over. At the Wynn in Las Vegas, snack-stuffed trays are perched atop the mini-bar, and when an item is fondled by a curious guest, its value is automatically added to the bill, even if it isn’t consumed. 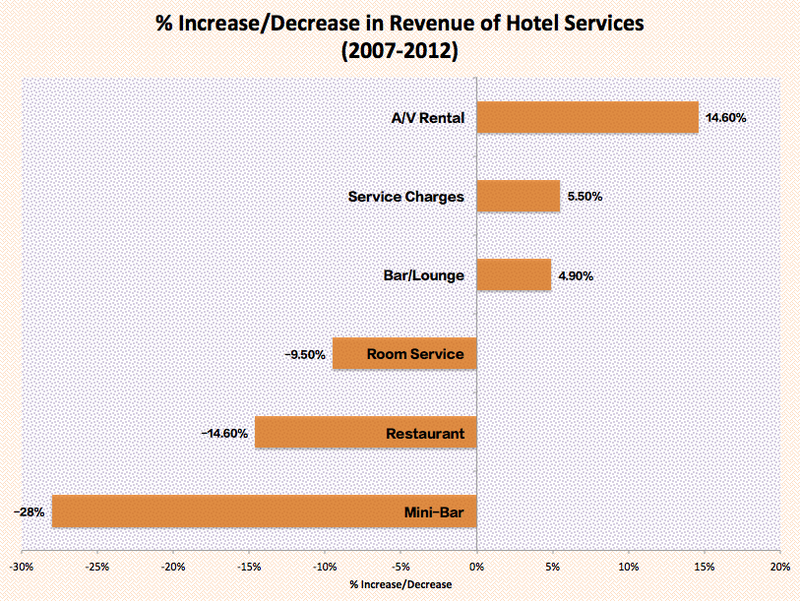 Still, these efforts have not curbed the costs for hotels that continue to equip rooms with mini-bars. It seems dubious that anything — whether it be a $13 bag of nuts, or a system of sensors — can stop the fate of the mini-bar. And most hotel frequenters couldn’t care less.